Alcoa has agreed to ettle a criminal and civil bribery probe. Alcoa agreed to a $384 million settlement of criminal and civil charges that it bribed officials in Bahrain, federal agencies and company officials announced Thursday. 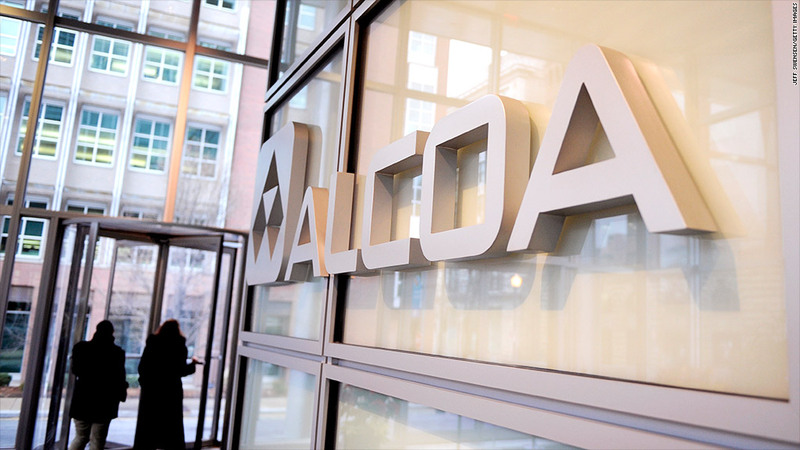 The Securities and Exchange Commission said that its probe found that Alcoa (AA) made more than $110 million in illegal payments to Bahraini officials with influence over contract negotiations between Alcoa and a major government-operated aluminum plant. Alcoa said it was pleased to put the matter behind it, and pointed out that the agencies are not alleging that "anyone at Alcoa Inc. knowingly engaged in the conduct at issue." But authorities say that lack of knowledge does not excuse Alcoa. The bribes, which authorities say were done through a London-based consultant with connections to Bahrain's royal family, violate the U.S. Foreign Corrupt Practices Act. "The law does not permit companies to avoid responsibility for foreign corruption by outsourcing bribery to their agents, and, as today's prosecution demonstrates, neither will the Department of Justice," said Acting Assistant Attorney General Mythili Raman. The Justice Department also reached a settlement with Alcoa World Alumina, a mining joint venture between Alcoa and Alumina Limited, which has agreed to plead guilty to the criminal charges. AWA will pay $209 million in criminal fines spread over five equal payments over the next four years. It will also forfeit an additional $14 million to the Justice Department. Alcoa will be responsible for 85% of that criminal fine, and will also pay a $161 million civil fine to the SEC. The company will take a $288 million charge against earnings for the just-completed fourth quarter. It had already taken a $103 million charge in anticipation of the fine earlier in the year.